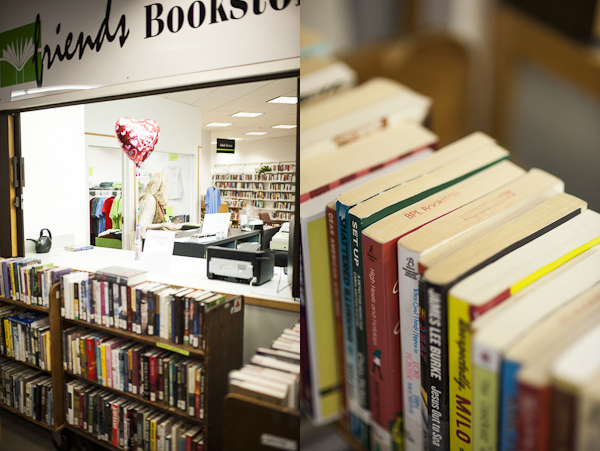 The Friends Bookstore on the First Floor of the downtown Central Library’s East Building is the single most important fundraiser for our organization. Volunteers operate the Bookstore under the supervision of our Bookstore Manager. Proceeds from the sale of books and other materials donated by the library and by individuals, as well as snacks and beverages, are used to administer the foundation and to support its mission of serving the library. Because of the operation of the Bookstore, almost 100% of individual contributions to the Friends Foundation are used to benefit BPL. 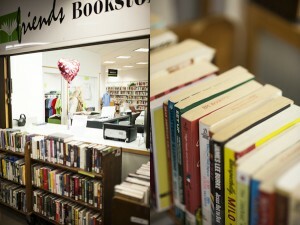 Friends Bookstore thrives on your support through your donations. Friends may pick up from you if you have a large donation, are physically challenged, elderly, or have inadequate transportation. All donors are given a formal donation receipt. If you want to arrange a donation to the bookstore or have any questions, contact our Bookstore Manager at 205-587-2221 or email us at Bookstore@friendsofthebpl.org. Come visit us in the Friends Bookstore and help support the Birmingham Public Library!